Captain Paul October 9, 2018 FOOTBALL, LIVERPOOL, NEWS, PREMIER LEAGUETagged Alllison, LIVERPOOL, Liverpool news, Liverpool newsnow, Mo sallah, Premier League, Premier League news, Premier League newsnow, Virgil Van DijkLeave a Comment on Can Liverpool win their first Premier League title? Liverpool have gone a long way to try and put things in place to try to win their first Premier League title. The huge investment by their American owners has put the club in a great position to try to become league champions this season. Over the last five years Liverpool have been scouting top class players that they hope will be part of a system that will bring the title to Anfield. This was one of the reasons why a Coach of Jurgen Klopp’s calibre was brought to the club to attempt to make this dream a reality. 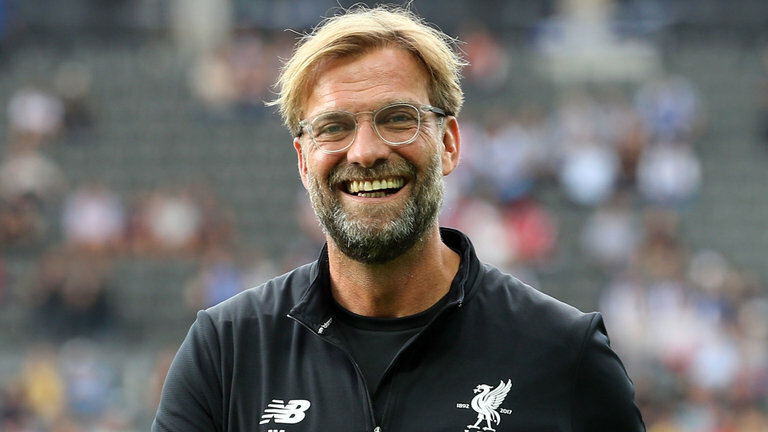 This is the German’s fourth season at the club, and looking at the club’s investment in the squad, all seems to be pointing towards the fact that Liverpool are aiming to to be fighting for the title this season. The signing of Mo Salah last season and adding Shaqiri to the attacking mix this summer shows massive intent from the Reds. Their defence has always been their issue over the last few seasons and that was swiftly addressed first with the arrival of Virgil Van Dijk for a whopping £75m and then a world class goalkeeper in Allison for a record fee of £67m. All these were done to ensure the Manager has the best chance to beat Man City to the title this season. It’s so far so good and the Reds have started on the right foot by winning all their league games so far, things are looking up at Anfield under Klopp.